Why are the Assessment Criteria changing? The new criteria will reinforce the University’s commitment to putting student learning at the centre of assessment. They will also be more streamlined, making it easier to focus on formative assessment, and communicate what we expect from our students in a more transparent way. 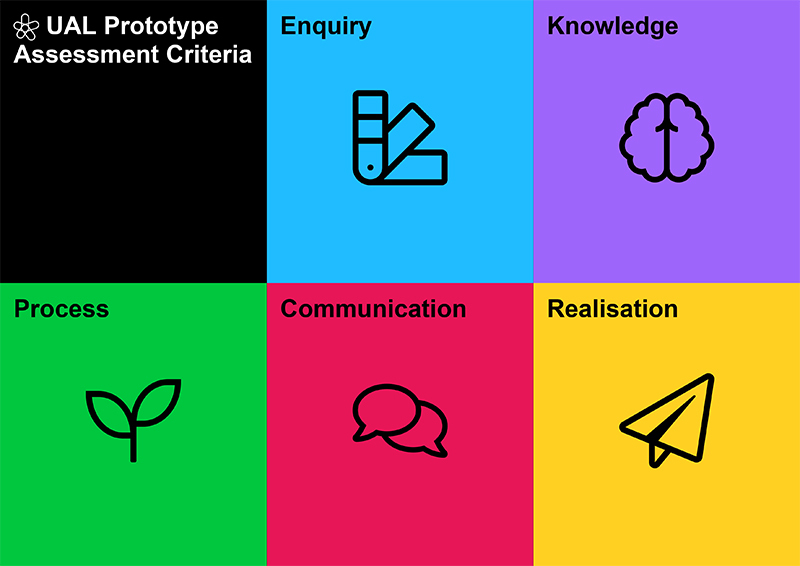 The new criteria will reflect the ways that assessment practices are delivered within our creative institution across our diverse disciplines, and have been written so they are easier to align to learning outcomes. They will go further to recognise and celebrate active engagement in learning. This work supports the changes to the degree classification, with the second year now being included in the classification algorithm. Criteria descriptors will be added to each of the three undergraduate levels (4 – 6), which will help to support students’ progress within Higher Education. The changes will ensure that assessment practices support work in diversity and attainment. This as an opportunity to support the University’s ambition to reduce our attainment differentials and support inclusive practices. We will be moving from eight to five different criteria. The language used to describe each criteria will be stripped back, making it simpler to grade each level in a way that relates to the learning outcomes. There will be separate criteria descriptors for each undergraduate level (4 – 6) and for postgraduate level 7. The criteria will be flexible enough to map onto different subject disciplines, and grading will be contextualized within the various courses at UAL. This new approach acknowledges and respects the disciplinary expertise of our tutors. The revised Assessment Criteria are being presented to Academic Board for endorsement and they will then be shared with course teams, ready for staff to contextualise their course. Briefings and supporting resources, including an example of how to map the old criteria to the new, will be provided to course teams, as a helpful starting point. A series of staff development sessions will then take place at the end of the summer term to support lecturers in using the new criteria, and to discuss the benefits in terms of diversity of attainment and formative assessment. Student work will be marked against the new assessment criteria from the beginning of the 2019/2020 academic year (excluding a small number of courses where students are enrolled on courses / units that commenced in 2018/19). Contact your College Associate Dean of Learning and Teaching, or email Prof Susan Orr, Dean of Learning, Teaching and Enhancement.